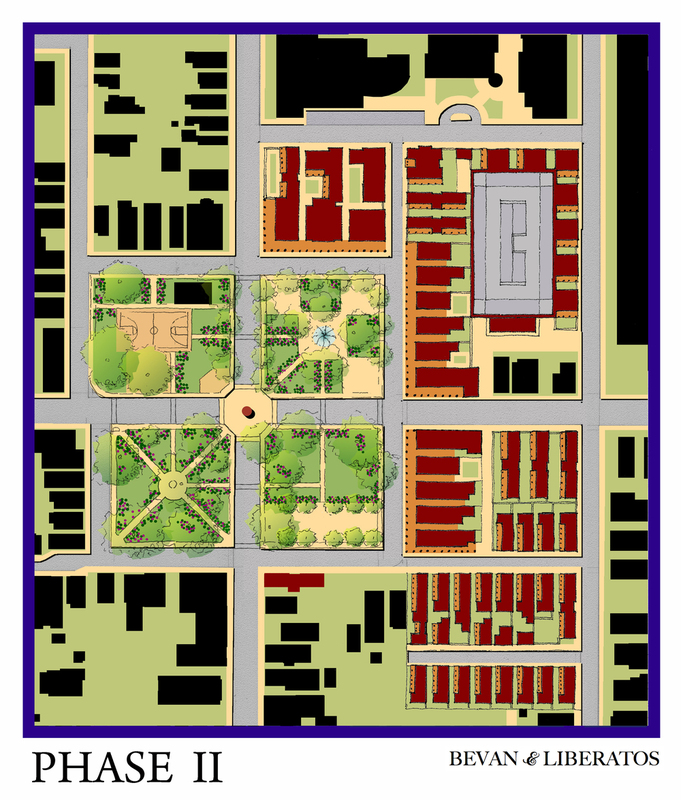 A proposal for infill development in Charleston's Eastside neighborhood. Shops are at ground level facing a covered south-facing sidewalk. The apartments above all have porches and face the square. 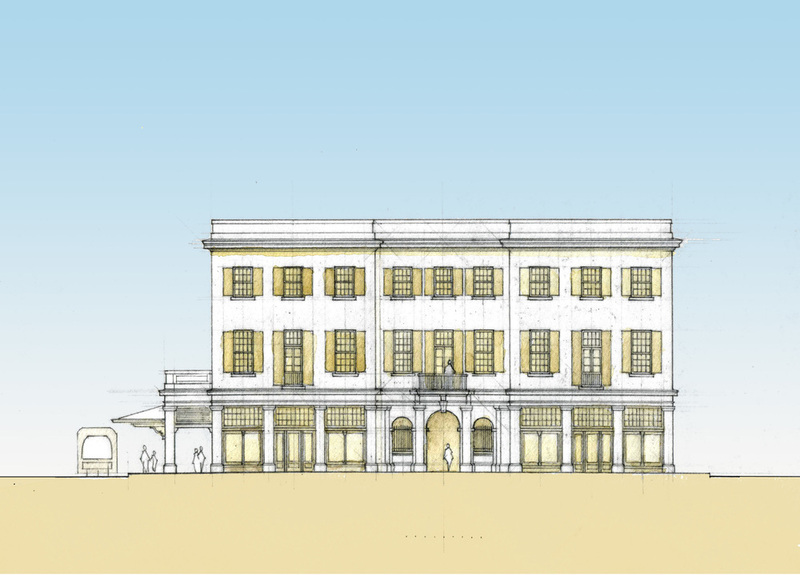 A new neighborhood proposal within the Historic District of Charleston, SC. 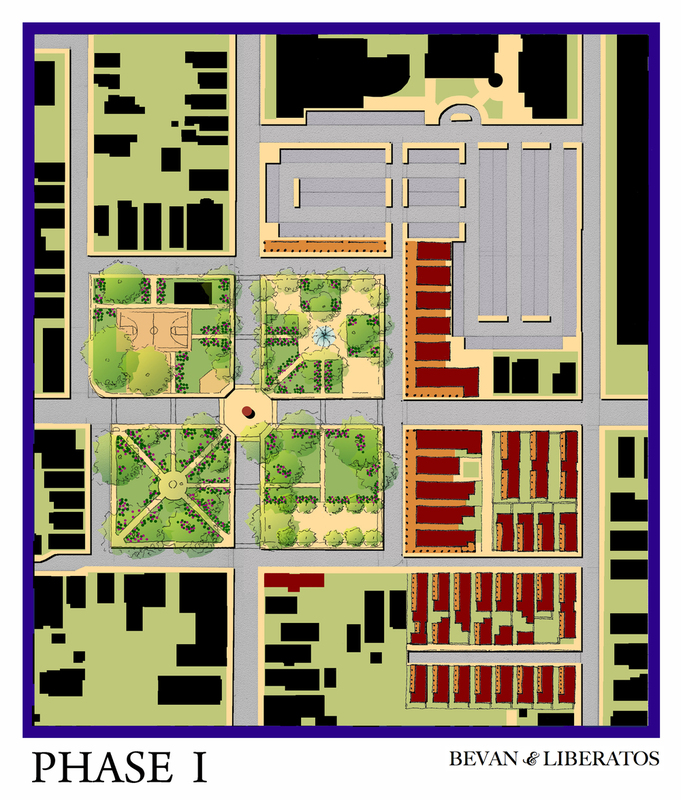 This proposal provides a new vision for development within and adjacent to Charleston's Old and Historic Districts. 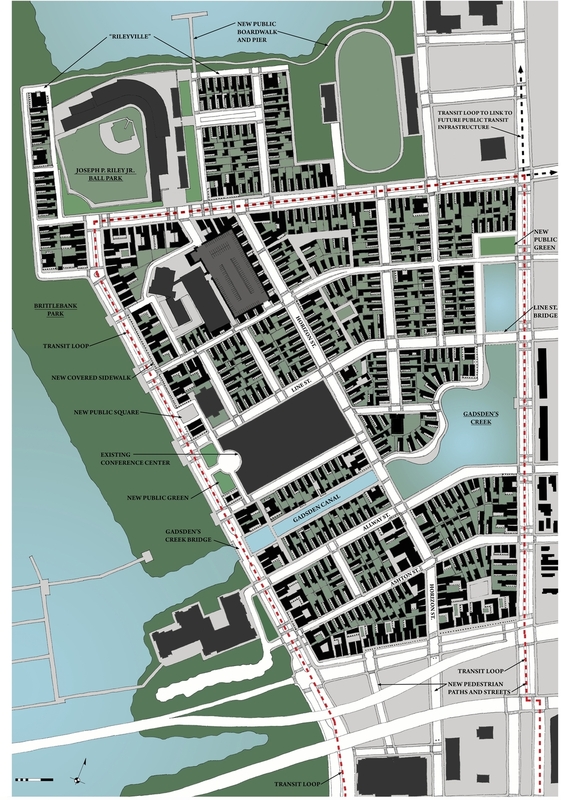 By following the local urban, architectural and construction patterns we achieve a scale that compliments the adjacent neighborhood and provides more of what is in demand: traditionally built, small scale, walkable communities. 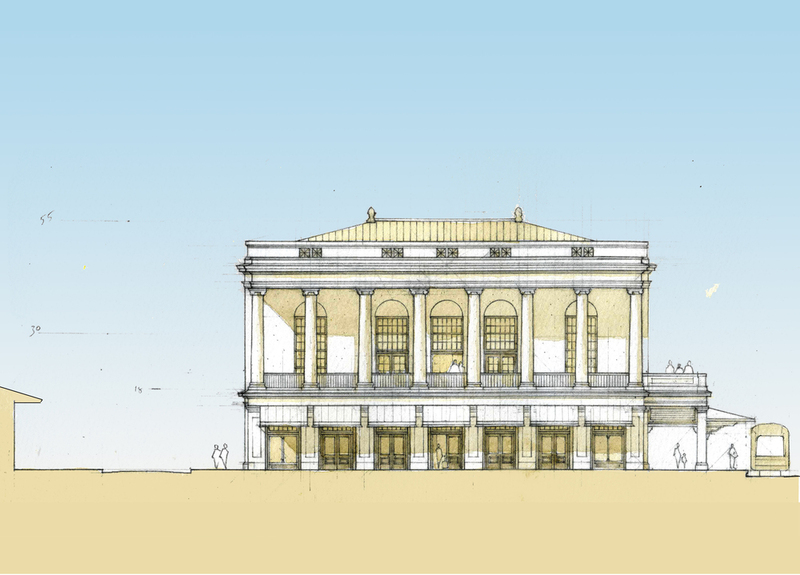 With this proposal we aimed to provide the Preservation community the tools to evaluate whether new development and growth will support or stress the local community. 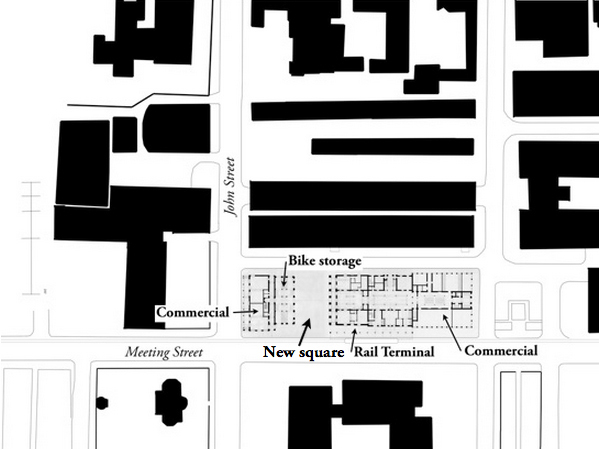 A hypothetical transportation hub in Charleston, with program totaling over 63,000 sqft. including a light-rail train station and its associated concourse, ticketing room, staff offices, café, etc., a public meeting hall, a bicycle center (repair, rentals, lockers), 14,000 sqft. of office space, 8,000 sqft. of retail space, and covered, public storage for 116 bicycles. 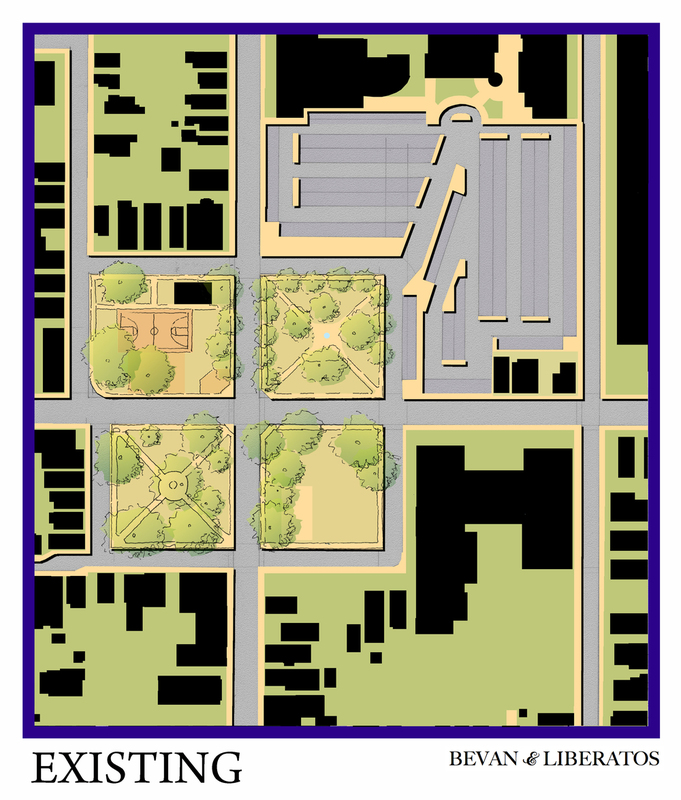 We divided the program into two main blocks, one created by two buildings which together make up the bike storage and some of the commercial component, the other made of the rail terminal, offices, and more commercial space. A small public square is created between the bike storage and the rail terminal. 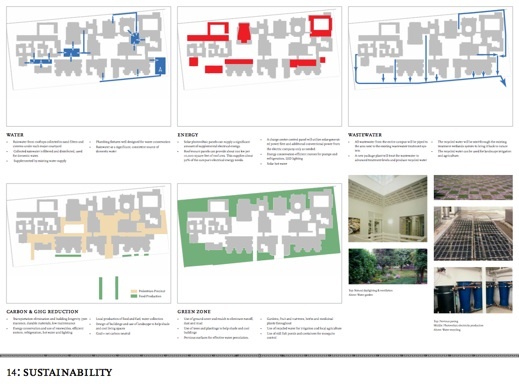 Internationally renowned urban designer and cofounder of the Congress for the New Urbanism, Stephanos Polyzoides, lead the design team for this project - a campus plan for a Fatemi Islamist Jamea in Kenya. The complex program for the Jamea includes monumental buildings (prayer halls, meeting and eating halls, library) and more modest ones (class rooms, residence halls, gymnasia). Students spend up to eleven years as boarders here, so a variety of outdoor spaces to provide for a variety of uses - similar to the ones found in typical traditional towns - is essential. Traditional design principles allow this diversity to flourish, from the relaxed and informal to the dignified and monumental.